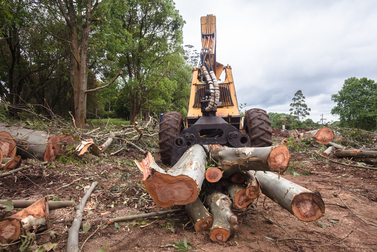 Whether it is a back yard that is overgrown, or trees that have grown up along a fence or lot line, or a wooded lot that needs to be cleared for development, we have the equipment to handle it. It doesn’t matter if it is being cleared for construction, a parking lot, a pasture or any other reason, we will take care of it for you. 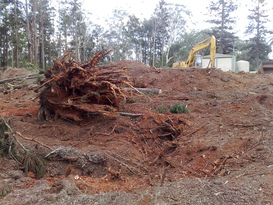 We have worked with developers, contractors, builders and individual homeowners and business owners looking for lot clearing services. Our professionals will take the necessary steps to minimize negative environmental effects such as runoff that clearing might otherwise cause. We can also work with you to retain selected trees. We know the regulations. These are very stringent around waterfront areas and may restrict what can be done. Whatever you need, we will do including: removing trees and stumps, boulders and rocks, and any general trash and debris on the property. Or you could fill out the form and we will get back to you with the information you requested.